View a fully operational traditional Irish pot still whiskey distillery, while enjoying a historical tour of the old distillery. 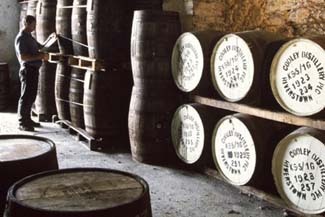 The Kilbeggan Distillery is the oldest distillery in world dating back to 1757 and home of Kilbeggan Irish Whiskey. The Kilbeggan Experience offers a unique opportunity to see a fully operational traditional Irish pot still whiskey distillery, while enjoying a historical tour of the old distillery which includes the waterwheel and original distillery machinery.